Synopsis: Night Moves follows three passionate environmentalists whose homegrown plot to blow up a controversial dam unravels into a journey of doubt, paranoia and unintended consequences. Set against the threatened natural beauty of Oregon, the film tracks quiet organic farmer Josh, high society dropout Dena, and adrenaline-driven ex-Marine Harmon as they prepare, carry out, and then experience the shocking fallout of what they hoped would be an attention-grabbing act of sabotage. As the tension mounts, the film touches on provocative moral questions about the underside of idealism and the modern collision of values and violence. But the story also veers increasingly inward, into the maelstrom of remorse, fear and panic that seeps through Josh, Dena and Harmon’s lives. In Night Moves, in what year does Dena say the world’s oceans will be empty? Contest closes Sunday, Dec. 7. at noon EST. Night Moves is now available on DVD and VOD. 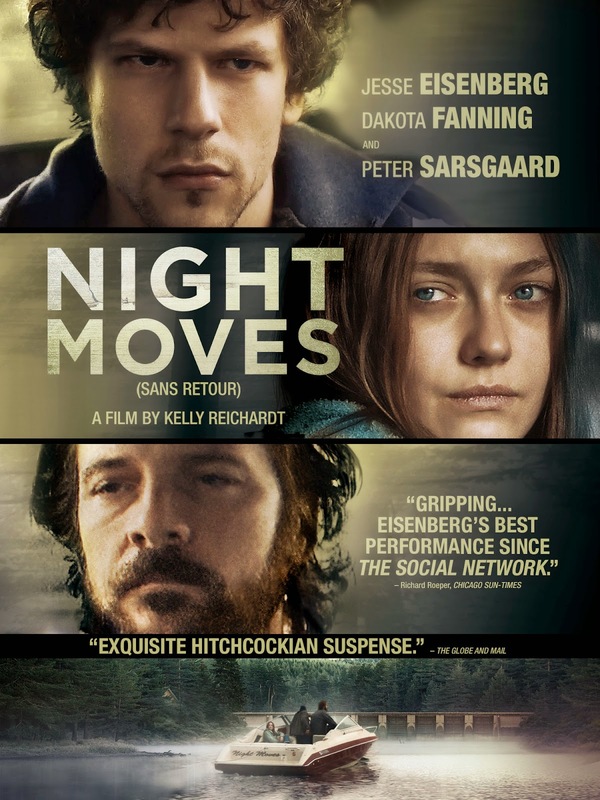 Read Cinemablographer.com’s review of Night Moves here. Night Moves Official trailer from Pacific Northwest Pictures on Vimeo.